Height: As per client requirement. Storage Capacity: As per client requirement. 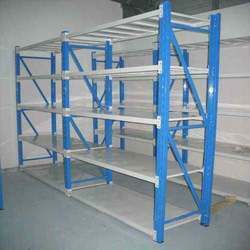 We are active in offering a wide assortment of Storage Rack that is demanded in the engineering, mechanical, chemical and electrical industry. Offered system is suitable for storing diverse goods of different weight, size & volume. Provided system is designed by our experts using high grade raw material and modern machines. Size (length x Width): 22-1/2"
Full body ss with 5 shelves. 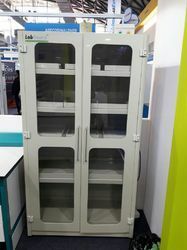 By keeping trial of current market development, we are providing an excellent array of Chemical Storage Racks. The provided racks are crafted by our talented professionals by making use of supreme quality basic material and the modern technology.